Hardwood Industries | Particle Board and MDF. 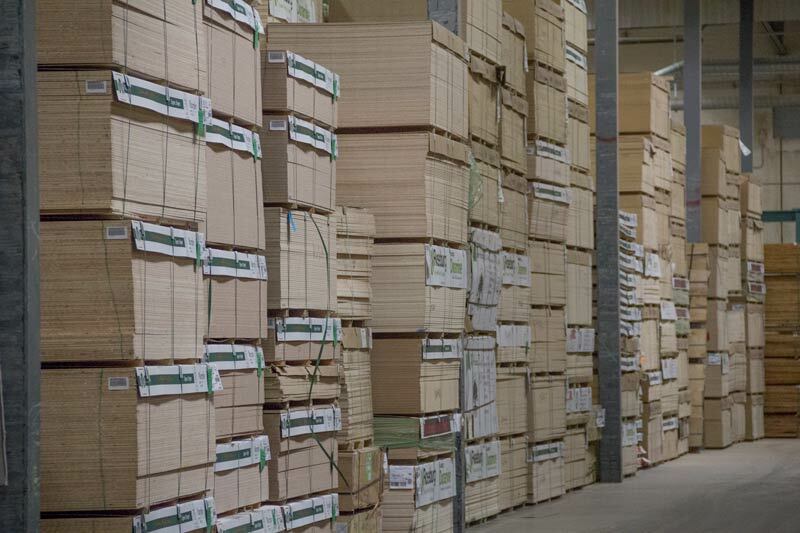 Hardwood Industries carries a diverse selection of industrial grade particle board to provide cabinet and furniture manufacturers with the inventory, or the special order ability to meet specific job requirements. We distribute industrial grade particle board manufactured by top quality producers in the industry. Normally stocked thicknesses range from 3mm through 2” and sheet dimensions from 4’x8’ through 5’x 16’. We also stock countertop widths in 8’, 10’, and 12’ lengths. All widths and lengths are 1” oversize unless otherwise noted. Hardwood Industries has responded to the popularity of MDF usage in the building industry by making available a diverse line of MDF products. If we don’t currently have an item you need, we can likely obtain it. We also carry MDF panels that carry SCS Certification for their recovered and recycled fiber content. MDF and Particle Board can be found in our Sheet Stock Guide on page 20.